The holidays are right around the corner and so is holiday shopping. Partnering with Buffalo Jackson, we’ve created a gift guide tailored to any adventure you embark on while visiting Jackson County, North Carolina. While you may be looking for holiday gifts now, the North Carolina mountain towns of Cashiers, Cherokee, Dillsboro and Sylva are full of great things to enjoy year round. 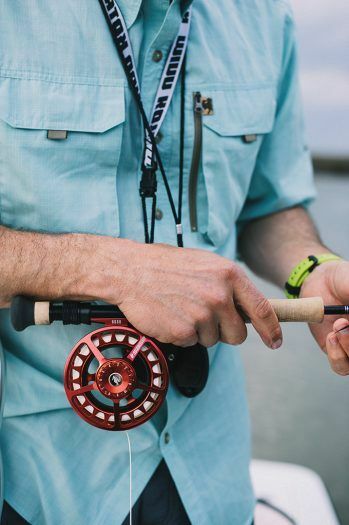 As you roll up the sleeves of your Riverdale Fishing Shirt, cast a line on the Western North Carolina Fly Fishing Trail. This one-of-a-kind trail maps out 15 prime spots to catch brown, rainbow and brook trout in the beautiful waters of the Great Smoky Mountains. From secluded mountain streams to wide-open rivers, the fly fishing trail—in North Carolina’s Trout Capital— offers the perfect spot for every angler. Already hooked on Jackson County fishing? Take the bait and plan your trip using our fishing itinerary. Whether you’re looking for a challenging hike or a short leisurely trail, Jackson County’s trails are second to none. In fact, Jackson County borders the most visited National Park in the country, the Great Smoky Mountain National Park. 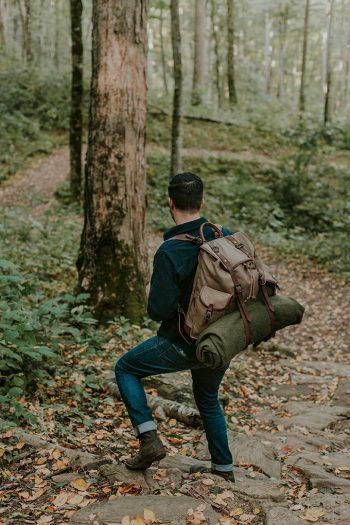 Ascend to the summit with ease sporting your Dakota Waxed Canvas Rucksack filled with every hiker’s essentials. Discover all the outstanding activities to uncover during your trip with our outdoor adventure guide. From Panthertown Valley to Waterrock Knob, Jackson County is home to several of Western North Carolina’s finest trail and camping sites perched around the Blue Ridge Mountains. Take in the breathtaking beauty of Jackson County by campfire. 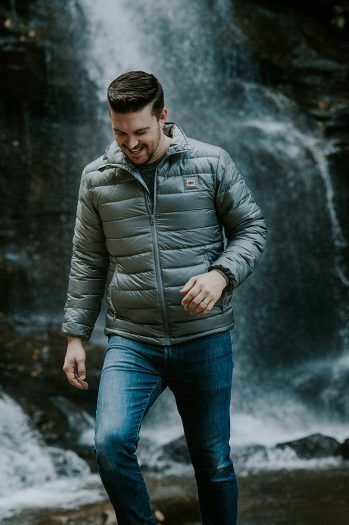 Set up a tent, kick up your feet and feel the glowing warmth of the fire in a Henson Down Jacket. Waterfalls and Lakes and Rivers, oh my! Jump right into Jackson County. Home to 26 waterfalls, four whitewater rivers and seven lakes, the aquatic adventure of your dreams starts here. 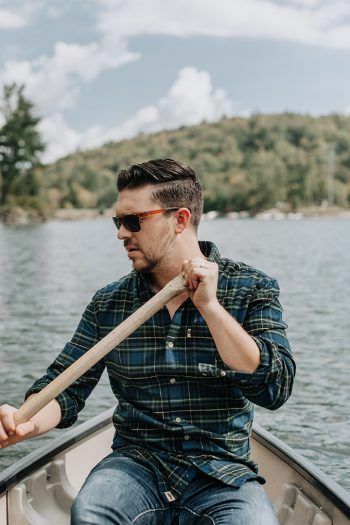 Whether you’re rafting down the mighty Tuckaseegee or paddling on glorious Lake Glenville, stay warm with the Fairbanks Flannel Shirt. Tucked in the Western North Carolina Mountains are the towns of Cashiers, Cherokee, Dillsboro and Sylva, which make for the perfect getaway no matter the time of year. From viewing the unparalleled fall foliage, to the sampling of spring flavors of a local IPA on the Ale Trail, Jackson County has something new to discover with each season. Ready to plan an adventure? 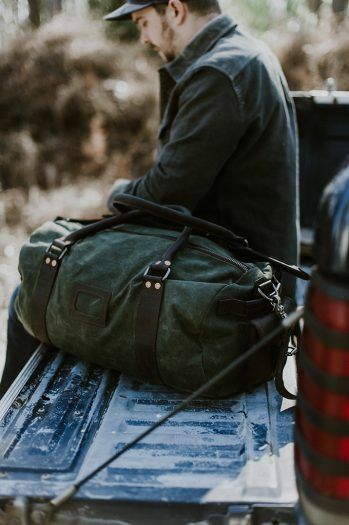 The Elkton Waxed Canvas Duffle Bag is as versatile as your upcoming trip to Jackson County. Your great escape awaits. All you have to do is come ready to Play On. But before you start giving, get something for yourself! Enter to win a Henson Down Jacket, Fairbanks Flannel Shirt and Elkton Waxed Canvas Duffle Bag. To participate, head over to the Jackson County Instagram, like the Buffalo Jackson post and tag 3 people on your gift giving list. Contest ends November 30. Winner will be selected at random.